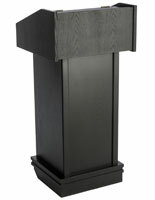 Lecterns Podiums and Pulpits Can be Purchased from a Trusted Vendor in the Industry - Podiums2go.com! 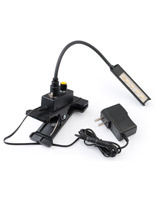 Sales on Lecterns Podiums Happen All the Time and Sometimes Even Below Out Cost! MDF with a cherry veneer provides the look of a solid wood construction for a fraction of the cost. 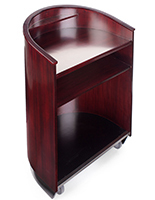 These lecterns podiums are crafted with a focus towards stability and function, which are ideal for a restaurant's hostess station or a hotel's concierge desk. 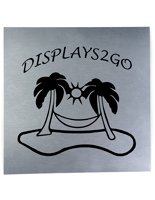 The features of this podium make it perfect for installing near an entrance way as a permanent welcoming fixture. The desktop is accentuated with high side walls which allow for privacy when viewing a reservation list or checking out dining room customers. 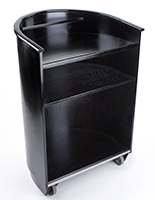 These lecterns podiums include a drawer that is great for keeping menus, maps or personal items out of sight. 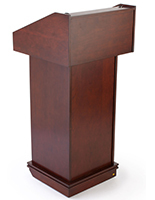 This podium features a large open cabinet for storing booster seats, welcoming packages or for added comfort of a seated attendant. 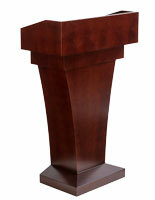 Constructed of mdf with a cherry veneer, this podium is a substantial lectern. 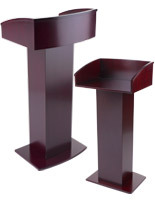 These lecterns podiums will accent any environment with their classic cherry stain and recessed panel design. 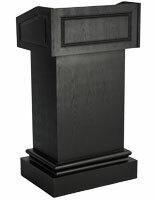 These lecterns, such as podiums, have a beautiful wood trim around the base that completes these elegant pulpits. This lectern, such as pulpit, ships fully assembled. 21.6" x 47.3" x 29.1"